I guess it all started when I was 13 and my mum took me to the doctors, I remember sat feeling the most vulnerable I’ve ever felt in my life “ There’s something wrong with her, she has this insane temper…now I know they have mood swings at this age but this is something else” my mum said to the doctor, I couldn’t bare to look either of them in the eye, long and short of it is I was referred to the child and adolescent mental health team, who to be quite frank didn’t really do much just started me on fluoxetine and at the ripe age of 13 my journey with anti-depressants began. I must have stayed on citalopram up until I was 19 because I was taken off it when I found out I was pregnant. Now it’s no secret that after I had my baby boy I suffered from postpartum psychosis, and shortly after I was referred to the community mental health team which brings us to now. It’s extremely rare for me to find a psychiatrist who I can open to and be completely honest with. I poured my heart out to this doctor, You see, I’ve always had a fear of being abandoned and unwanted, it’s not that I crave attention it’s that like most people I crave the feeling of being loved but in the same breath I push people away because in my eyes it’s easier to push them away myself than let them close to me and than have them pull away from me. Then next he asked about the self harm. Since I was 13 I have abused my body. I’ve picked at my skin, taken multiple overdoses as well as attempting to end my life off of a bridge, I told the doctor everything and he looked at me concerned and just returned to writing it all down. “Would you say you have tendencies to be impulsive Amy?” he asked. Now this bit was almost a comical moment as I had a flash back to every reckless, impulsive thing I’ve done to date. I smirked almost with tears rolling down my face… “Well it’s been said… yeah,” I chuckled. “ I just have these intense mood swings. I can go from feeling on top of the world, and like I actually have control of my life but the slightest thing can happen and I’ll crumble, I can’t cope with it and that mood will last anything from a few hours to a few days.” At this point I started sobbing uncontrollably. You see, I never wanted to be like this. To be constantly paranoid and overthink every possible thing, to read every text message over and over again until I’ve convinced myself that the person who sent it is annoyed at me…and god forbid someone doesn’t text me back within 3 hours because I will convince myself they don’t like me. The temper that comes with it is like a firecracker, I have such a short fuse and when I lose my temper I have no control over what I say and I will willingly cut ties without even thinking. The self doubt is there every day, every damn day I tell myself I can’t and won’t achieve things…it’s like a little niggling voice at the back of my head, almost like a little mouse nibbling away day by day.”So Amy, I think there is a bit more than depression here. 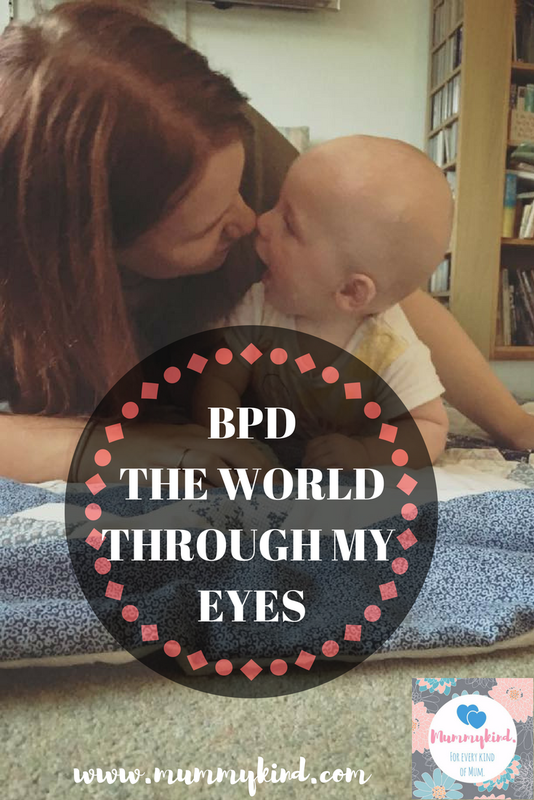 From what you’ve told me and looking at your history I think you have something called BPD, formerly known as EUPD…have you heard of it?”…it was almost a relief to know everything I had been through was an underlying condition. This post might seem a bit doom and gloom, but that is BPDin my eyes, It’s a constant challenge. I’m on a waiting list for counselling but like all NHS services, the mental health team are under strain. I was told BPD treatment is 50:50, 50% medication and 50% talking therapy. My new tablets have been the most helpful to date, and on the whole I have good control over my BPD. So to anyone newly diagnosed, know it gets better and know BPD does not define you.